Two men accused of helping kill a Clermont County man and discarding his body in a New Market field were sentenced to prison in recent days after pleading guilty to their crimes in Highland County Common Pleas Court. John Daniel Disney, 39, Cincinnati, was sentenced to five years and nine months in prison last week after pleading guilty to involuntary manslaughter, a first-degree felony, and tampering with evidence, a third-degree felony. His sentence was ordered to be served consecutive to an unrelated prison sentence in Clermont County, according to court documents. 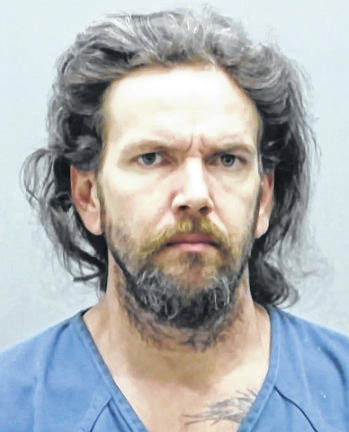 On Wednesday, Steve A. Davis, 40, Batavia, was sentenced to four years and nine months after he pled guilty to the same charges in July. As part of a plea agreement, Davis agreed to testify at trial against Disney and a third co-defendant, Stoney James Behler, 37, Cincinnati, who was accused of shooting Dakota Spurlock in the chest during what some described as a drug deal gone wrong early this year. 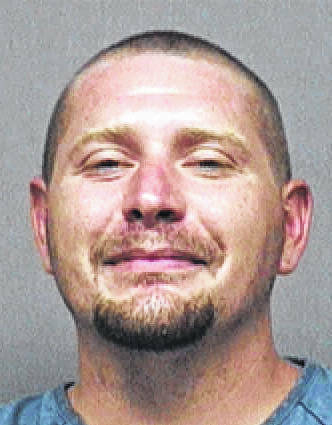 Behler pled guilty earlier this month to involuntary manslaughter, tampering with evidence and having weapons under disability, a third-degree felony, and was sentenced to 10 years in prison consecutive to an unrelated prison sentence set to end in December. As previously reported, Behler, Disney and Davis had arranged to buy heroin and methamphetamine from Spurlock, but when Spurlock got in a borrowed Ford Explorer with them, Behler pulled a gun on Spurlock and said he and his companions intended to take Spurlock’s drugs and money, according court documents. One witness said when Spurlock left a residence to meet with Behler, Disney and Davis, he had heroin, meth and $3,000 to $5,000 in cash with him, according to court documents. Court documents say Davis punched Spurlock, and Behler shot Spurlock in the chest. Behler later told another person that Spurlock had pulled a gun on him, and he bragged about shooting Spurlock, according to court documents. The three men then drove to Davidson Road near New Market and dumped the body in a ditch, prosecutors said. “Behler took Spurlock’s shoes and wallet and other personal items and was wearing Spurlock’s shoes at a later date,” one court document said. Behler threw the gun off a bridge into the Ohio River, according to court documents, and later showed detectives with the Highland County Sheriff’s Office where he threw it. Court documents say Davis allegedly continued to message Spurlock on Facebook after his death in order to mislead law enforcement during the investigation. As previously reported, a farmer found Spurlock’s body with a gunshot wound to the chest. Blood samples collected from Spurlock matched blood found in the Explorer, according to prosecutors. All three men were indicted in May on one count of involuntary manslaughter, one count of tampering with evidence and one count of abuse of a corpse, a fifth-degree felony. Behler was also charged with having weapons under disability for carrying a gun while being a convicted felon.